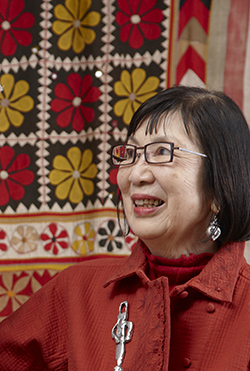 Hiroko Iwatate, the director, founded this small museum dedicated to her large selection of textiles, which she has gathered over many years. 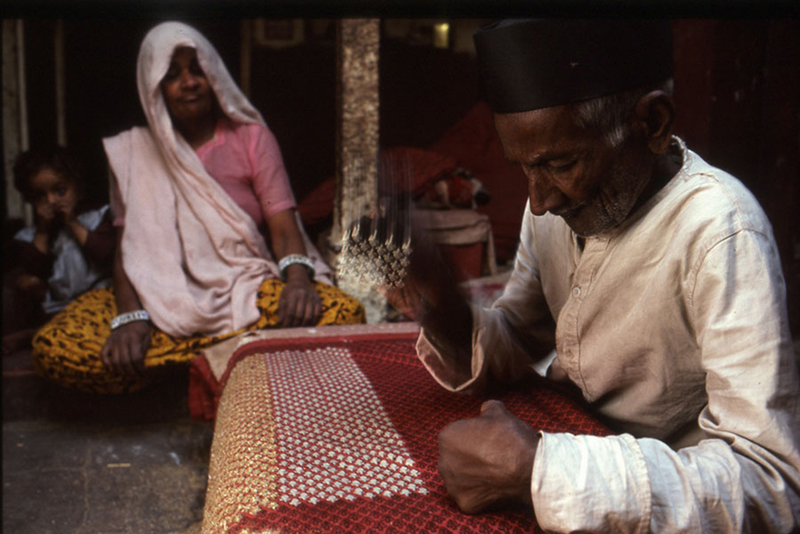 Her quest for folk textiles began in Latin America in 1965, which later developed to full-scale collecting through her numerous trips to India. She was deeply impressed by the beauty of fabrics produced in India. 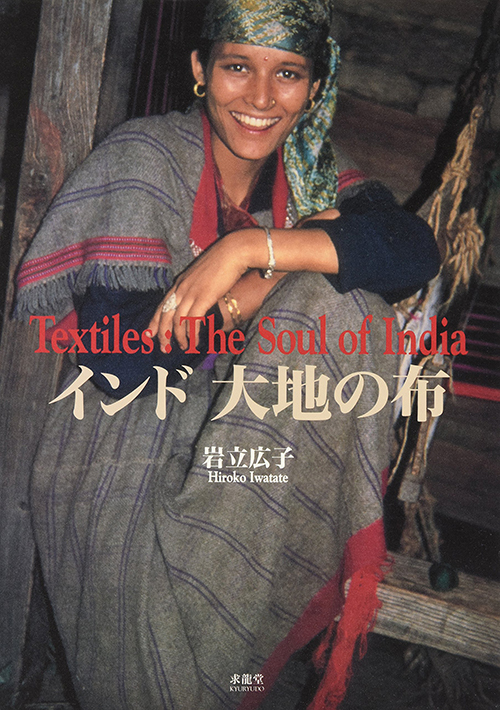 She studied those textiles and published*Textiles: The Soul of India. Initially she adopted a probing approach even though sometimes there was no adequate information available to elucidate the rich cultural aspect of the Indian textiles she saw. For example if she was travelling in a car and saw from her car window women wearing skirts with attractive patterns then she would stop and investigate to discover their origin. For 50 years she has acquainted herself with locals and their living conditions as she has sought to understand their textiles and culture. During this time her collecting expanded beyond India to other parts of the world. Currently, the museum collection registers a total of 8000 items, of which about 4000 are from India and 4000 from other countries. The museum curates 3 major exhibitions per year. It is a welcoming place where you can acquaint yourself with exquisite handwork from antiquity, the genuine efforts of people who lived in the past. Please come and visit us. I grew up in the period after the World War when material things were scarce, so it was always the case of starting from scratch with zero. For example when I entered junior high school I had no clothes to wear so I had to undo my mother’s serge kimono to make something to wear. While I chose to study textiles at the Arts and Crafts Department of the university, I was still uncertain of my career but wherever I travelled the focus of my attention was on textiles. This was the start of making textiles my life work. In 1965, I reached Peru, which had been my dream, and I was fortunate to be able to come across numerous ancient textiles some 1000 years old. I felt, then, that it was my mission in life to gain an insight into fabrics that are able to sustain their brilliance over time and never age. Five years later I stood in India, the country famous for its 5000-year history of wealth in textiles. 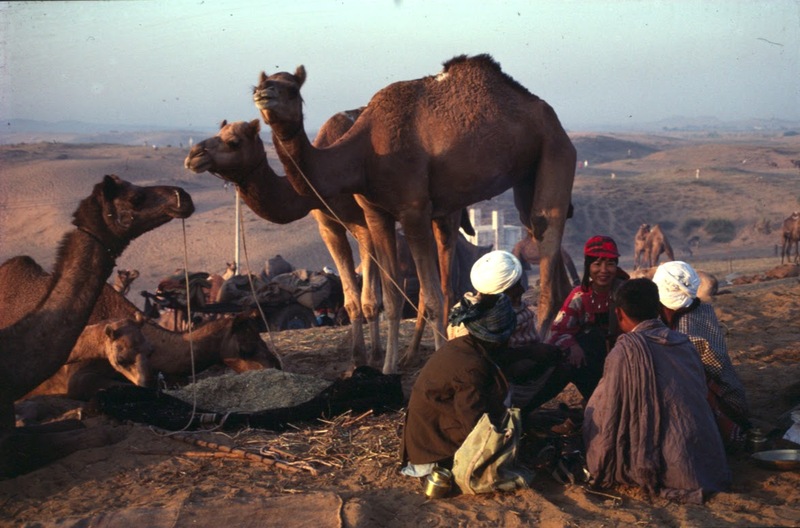 Since then I have been returning to India for over 40 years, which to me is still not long enough to comprehend this vast land, so I am still repeating my never-ending journey to India. With great interest I further broadened my research into the countries near and afar that the textiles of India have influenced. My journey into this immense expanse of countries which included Afghanistan, Pakistan, Bangladesh, countries in Central Asia, Iran, Turkey, Syria, Thailand, Indonesia, Myanmar, Laos, Bhutan, and China continually reassured me of the bond with India. By 2009 I opened a small museum called Khadi* Iwatate to show publicly my collection from these countries. When my collecting began India and the surrounding countries were still poor, however, it was the last period when genuine handiwork could be seen daily. The textiles forming my collection are truly precious possessions that have survived waves of industrialization in their countries. The museum pieces have been selected by my own eyes and using my feet together with people from all over the world. I sincerely wish to share and pass on these treasures to our next generations. Graduated from Joshibi University of Art and Design, Department of Design and Crafts. At the University, Iwatate studied under Yoshitaka Yanagi and Samiro Yunoki. Having started her career as a textile artist, she visited Latin America to study pre-Inca textiles in 1965. She began her research on ancient and contemporary folk textiles and in 1970 travelled to India, known as the mother of textiles. Since then she has visited India twice a year for over 50 years recording 85 travels so far. In parallel to her comprehensive study of Indian textiles she has explored further many other countries’ textiles for research and collecting. 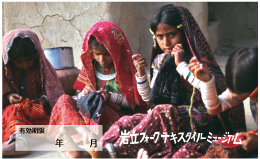 Initially she opened a shop Bazar Iwatate for primarily Indian textile sales. 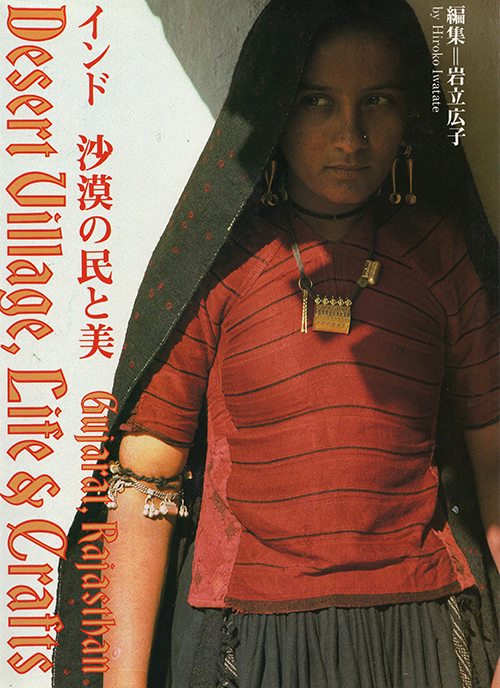 In 1985, in addition to selling textile related items she upgraded Bazar Iwatate to Khadi Iwatate, where she could display her private collections. In 2009, she closed Khadi Iwatate to open Iwatate Folk Textile Museum. Since then she has organized numerous exhibitions of Iwatate collections at the Museum and also at other venues including the Japan Folk Craft Museum, Tokyo. You are cordially invited to join Iwatate FTM Friends’ Society. It is open to all people who are interested in the activities of Iwatate Folk Textile Museum. No qualification is required. If you love true and beautiful textiles from all parts of the world and are interested in our exhibitions and lectures and other events, and ready to support the work of our museum, please consider joining the Friends’ Society. There are two categories in the membership: General Member and Supporting Member. On joining the Society, you will receive a membership card valid for one year. ①. You can see all our exhibitions any number of times free of charge. ②. You will receive notice to all our exhibitions (three different ones per year), lectures and other related events. ③. You will get 5% discount on your purchase of goods in the museum (except books and some specified goods). In addition to the benefits stated above, you can bring to each exhibition one guest free of charge. We are preparing to apply to be authorized as a general incorporated foundation, non-profit type (scheduled to apply in March 2014). In order to secure stable management as a foundation, we would gratefully appreciate voluntary donations, any number of shares ¥5000 per share) at anytime. ©2017 iwatate folk textile museum all right reserved.